Welcome and thanks for visiting the website of one America�s foremost outdoorsman. Steve tips his hat to fellow anglers, hunters, readers and fans after 38 years in the great outdoors. Watch for updates on waterfowl hunting and migrations plus weekly fishing reports. Be sure to check out Steve�s outdoor articles and photos plus his annual �Casting For A Cure� Kids Fishing Rodeo. Got questions on hunting, fishing, trip planning and more? How about a Gift Certificate for someone�s special occasion? 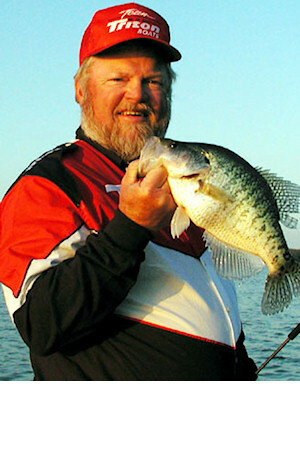 An autographed copy of the book: CRAPPIE WISDOM? Questions about the best time to come? It�s all here.